Historic Highland Lodge set in 2 acres of landscaped and wooded grounds above the River Spean in the centre of Spean Bridge. Three well appointed en suite rooms all on the first floor - a spacious family room and a double and a twin room. The Lodge is tastefully furnished with antiques and original paintings. There is a large guest lounge with open fire and views of the grounds and Nevis Range mountains beyond. Delicious breakfasts using local produce are served in our elegant dining room, including vegetarian options. Free Wi-Fi and secure bike storage. Private off road parking area. Children very welcome. The extensive lawns are an ideal play area. Excellent village restaurants, bars, shops and woollen mill. 9 hole golf course. Village railway station with daily trains to Glasgow and Fort William including connections for the Jacobite (Harry Potter) Steam train (seasonal). Total rates, from Mon 22 Apr 2019, to Tue 23 Apr 2019, for 1 nights. Groups: Groups are accepted up to a maximum of 6 people. No stag and hen groups. This accommodation is 1st class and we highly recommend it. We can truly say this is the best B&B we have stayed in. The hosts, Glen and Suzanne were exceptional hosts and nothing was too much trouble for them. The en-suite was very large and spotlessly clean as was the twin room we stayed in. The breakfast was delicious and very filling with the extra touch of homemade jam and marmalade. We would definitely book The Spean Lodge again. The local restaurant- The Old Station Restaurant and Bar has just been recently taken over when we visited. The restaurant was very clean, warm and friendly with a log burning fire, however the food was not too great. My husband had the fish and chips and he said the fish was thin and like cardboard. I had the sirloin steak which was a bit tough. Spean Lodge Country House is an exceptional place, all aspects of our stay surpassed our expectations. We are at the station restaurant on the Saturday night and it was great. We recommand Spean Lodge because of the owner/host Glen. What a nice guy he is. He let us taste of his private whisky and told us everything about Haggis. The breakfast is very good, you can choose what you like, also kipper (fish) and haggis. Russel's restaurant. Visit via Glenfinnan to Mallaig. We had an amazing time at Glen and Sue’s - Spean Lodge country house. My family booked the family room as we have two little ones and we booked a separate room for my mother in law. The house is very clean, well kept and we felt at home. The rooms and living area feels very grand with intricate details. Glen was very welcoming, warm, accommodating. He was kind enough to drop us off and pick us up at a restaurant for dinner. Glen and Sue made us excellent traditional Scottish breakfast!! It was so yummy! The presentation and the service is 5 star! They are very friendly. We definitely will come back to stay here again. Recommend to book restaurants ahead of time around the area because they may have different opening hours and schedules. Also, the house is a beautiful Victorian house, it is well preserved. It has no lift. Pack lightly or appropriately. Glen was kind enough to help us with our luggages. Thank you Sue and Glen! Great history, great food, great location & grounds Great hosts ! There is so much to see & do in the Highlands come rain or shine ! It was a rare treat to stay in this lovely B&B with our youngest son, age 10. As we usually travel with four children and choose holiday homes for accommodation, we felt completely pampered with Glen and Suzanne's warm hospitality during our three night stay. Our room was plenty big, the beds comfortable, and the en-suite bathroom appearing recently updated with a nice shower and complimentary Highland Soap (which I had to purchase bars to take home from the shop where it is made, just across the street). The room, grounds and the host's hospitality on its own would have received all high marks, but the deliciously consistent made-to-order breakfast every morning put this place over the top. Beautifully served, perfect in temperature and portion, with a wide range of options. I enjoyed sampling classic Scottish dishes (smoked salmon, fish, black pudding, etc.) while my husband, who is on a vegetarian diet, raved about the porridge, fresh fruit and eggs. The lodge is perfectly situated for anyone wanting to explore the western Highlands. We all hope to return for a future stay! Ft. William is a great town for dining and shopping. Glen gave us great recommendations for dinners and helped with bookings. We also suggest following the advice for eating, shopping and exploring the local area of Spean Bridge. Take advantage of the walking/hiking options in the area. We particularly liked a visit to the Clan Cameron Museum, and from there hiked to Eas Chia-aig Waterfall - look it up, it is worth the effort to find it. It is also an easy drive south to Glencoe, which ranks among my favorite places to put eyes on. Very friendly welcome, beautiful spacious room with everything we could have needed. Cosy lounge for a read before bedtime. Delicious breakfast after a refreshing nights sleep. Thank you! Recommend the Nevis Range tree adventure nearby. It is a challenging ‘High ropes course’ that is well maintained, professionally staffed and great fun. It was an absolute pleasure to stay at Spean Lodge. We loved the house, its furnishings, the setting and of course the wonderful breakfast. Glen was the perfect host and we had a most comfortable stay. Thank you. Nice hosts! Wonderful surrounding areas. Great tips from the hosts! Definitely visit again! Old-stationed restaurant is wonderful. Reserve your table before going there. You are both such warm and welcoming hosts! We felt perfectly at home at Spean, and would gladly come back or recommend your B&B to others (I've let you a review on Trip Advisor as well)! Make dinner reservations in advance!! Lovely relaxed b&b with excellent breakfast and friendly hosts. Absolutely gorgeous place, beautiful historical home with stunning grounds. Glen and Suzanne were the kindest hosts, so friendly and accommodating. Our children just loved chatting with Glen! We will definitely be back, Spean Lodge was a highlight of our trip. The Old Railway Station restaurant was lovely and put on a delicious dinner. Be sure to take Glen up on his offer to make you a reservation ahead of time! Especially during high season. It's a small town, and the restaurants fill up quickly. Very enjoyable stay at Spean Lodge. Good 'Scottish' atmosphere. Recommend the Old Station Restaurant at Spean. Cable car ride (approx 4 miles south} up to approx 2000 feet with walks ( on a clear day) Fort William very good for shopping - also the West Highland Museum in F. William. F.William seems to be the centre of the Mountain Biking universe. Glen Nevis was a great introductory walk to the area. Excellent accommodation. Very hospitable hosts.Lovely gardens. Very relaxed stay. Wonderful two night stay! Glen was so kind and engaging - our 9 year old still speaks of him. Setting is lovely and Sue cooks up a wonderful breakfast. Glen is a great resource for things to do in the area and history of the area. He also steered us right two nights in a row for dinner plans. Highly recommend - and will plan to return if we are in this part of the country again! Fantastic location in Spean Bridge, close to a local pub with some interesting history regarding its WW2 Commando connections. The lodge is superbly decorated and maintained. Glen and Suzanne are superb hosts and go out of their way to ensure you have a comfortable stay. We will be coming back!! Ensure you book the local restaurants for dinner as they do get full in peak season. Beautifully furnished house with stunning grounds. Warm welcome with lots of local knowledge and advice. Superb breakfast with local produce and Scottish specialities. Perfect place to stay. A good range of high quality restaurants to choose from. Brilliant location for exploring and accessing Ben Nevis. A little further drive outside Fort William than we anticipated but so worth it. Without the owner's expert and very specific advice and recommendations about hiking and restaurants our three days would have been a vastly different experience. Lovely home and property, with made to order uniquely Scottish breakfast that could have served as our meal for the day. But do remember to ask for a double/queen bed if that is important to you! Absolutely lovely place to stay- house and grounds perfect and the owners couldn’t do any more to make our two nights better! Will definitely revisit! Definitely visit The Nevis Range and eat at the Railway Station restaurant. Glen and Suzanne are the perfect hosts - welcoming, caring ensuring that all is right and respecting your privacy - just wonderful. Truly outstanding. Will come back. Spacious B and B with a separate guest lounge in an interesting house with good on site parking. Good breakfasts and delightful hosts. Convenient stop over on the way to North Coast 500 and good walking and climbing areas close by. Top breakfast, very friendly and helpful ! Old house (villa) very stylish. Glen we will come back again, be sure ! ...ask the host, he knows almost everything around and further away ! Thoroughly enjoyed our stay at Spean! Lovely accommodations and People! They made us feel very welcome, lovely accomodations. One of the favourite hotels of our trip. We only got to spend one night, so not too sure of what else we missed, but we had dinner at the Station and it was nice. Dear Glen, First of all thank you for everything. You house is stunning and you both take care of all the details perfectly. Bed and breakfast does not come any better than here. Only stayed overnight. No comment on the eating out bit. We had a truly lovely stay at Spean Lodge. Everything was clean and beautifully decorated. The owners were so welcoming and have a beautiful home. We are at Garrison West in Fort William which was a short drive away and it was delicious. 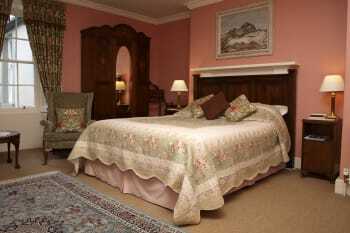 This is our second stay with Spean Lodge Country House. Whenever we travel, we always visit somewhere new and stay at different places but this accommodation is so good we came again. The house itself is amazing - rooms are more than comfortable and large. There is a separate sitting room with lounges and fireplace and it is the perfect place to take a bottle of wind and plan the next day. Location is fabulous and close to so many places it is too many to list. It is quiet and peaceful and across the road from Russells restaurant which is one of the best in Scotland. What makes this absolutely wondersul to stay in is the Hosts, Glen and Sue - all the info you could ever need, enthusiatic greetings, the best breakfast of any place we stayed in the UK and Europe - fresh fruit (not tinned), a range of fabulous Scottish fare from Smoked Salmon to Haggis, black pudding, kippers, porridge - it goes on. We would come for a third time deinately - we love it and think you would too. Our stay was very enjoyable and the hosts could not have been more welcoming and helpful. The breakfast was delicious, the room very clean and comfortable. We would happily recommend the Lodge to family and friends. Eat locally, you won't be disappointed. And take time to walk around the area, lots of beautiful footpath. A fantastic B&B. Great host, lovely food and a beautiful house. The old station restaurant in spean is also good. Our stay at Spean Lodge Country House was delightful. Glen is a wonderful host; rooms were very comfortable; location good for us to explore the highlands. Nevis Bakery in Fort William for yummy meat pies, sausage rolls etc. Located on the pedestrian shopping area near the Higland Museum. Highland Museum very interesting and free! Spean Golf Club - challenging little course and affordable. It is hilly so it will tire you out. Very friendly, very helpful, loved the lounge, breakfast excellent, would stay again. Truly excellent accommodation in a lovely house with fine furnishings, crockery and cutlery. Excellent food at Russell's and good food at Station Restaurant and at Pine Lodge. Fine walk from Spean Bridge to Commando Monument. In a week in Scotland,it was by far the best place we stayed.Attention to detail,welcome,everything was superb. Lovely place, Glen was super helpful and made our stay so easy. Brekkie was exceptional too! Superb location and beautiful garden. Excellent hosts who looked after our every need. WE LOVED IT! We will be back for sure - wonderful hosts! House located not far from the center which is easily reachable by bus (very close).The room was large and well appointed. every confort. The brakfast very good. The guests are very nice, cheerful and helpful: we anticipated our check-in on arrival and on departure we asked to leave our luggage for half a day. They were very nice to our demands. Thanks for that. Wonderful town. Ask the host, they kindly give you many informations, maps and leaflets and suggestions about bus, restaurants and pubs. Sans aucun doute le meilleur souvenir de notre séjour en Ecosse. La maison est magnifique, les chambres très confortables, le petit déjeuner excellent. Mais par dessus tout, Glen est un hôte formidable qui fait tout son possible pour nous faire passer un bon moment. Merci Glen ! Nous regrettons de n'avoir passé qu'une seule nuit. perfect hosts . felt at home. beautifully relaxing lounge . We simply couldn't resist Spean Lodge (again)! It is like coming home! Every letter in the word HOSPITALITY is here a capital letter! Glen and Suzanne are a blessing from the sky. Glen's wits and Suzanne's cooking is something you must experience. I wish we could see them every year. But when we go to Scotland again, there is no stopping us! Just amazing in every way - wish I had booked for longer ! This stay was a one night stop off on our way home so can't comment on local attractions. We had dinner at the Old Station restaurant. It was very good, booking was essesntial, several people were turned away. From the moment we arrived we were treated like we were the only guest. Glen went out of the book a table for dinner and he could not have picked a better place to eat. Breakfast was great fresh fruit and great choice of cooked food as well. Nothing was to much trouble. Will certainly be back. Very welcoming. Lovely historic house and grounds. A true home from home. Large comfortable atmospheric lounge on the upper floor to relax in. Accommodated gluten free request for breakfast, all freshly cooked. We were completely surprised and satisfied at how nice Spean Lodge was. Glen and Susan Wilson were perfect hosts; very friendly, helpful and knowledgeable about the points of interest in the area. This was undoubtedly the nicest place we visited during a month long vacation through Italy and Scotland. We will definitely revisit Spean Lodge on our next visit to Scotland. There is a small grocery store and several restaurants within walking distance of Spean Lodge. Inquiries to the Lodge host, Glen Wilson, will provide you with a wealth of information on where to go and things to see..
House and surroundings really beautiful, nice to arrive in a place like this after a day travelling. Quiet, clean and confortable. Family room is really a family room ( big). Owners are very nice and breakfast is great. It is worth to travel the few miles from Fort William to this place. Much more beautiful and quiet. We loved every minute of our time there and dream of going back one day. Perfect place to stay. Old house with a particular history. Authentic scottisch design, clean, refresh but real antique style and decoration . Helpful for cultural, sportive and gastronomics activities around . Sympathique welcome. Great! A very warm welcome from Glen who takes time to show guests the house, explain the showers in the en-suites.Very kindly gave us a lift to and from Russells Restaurant. 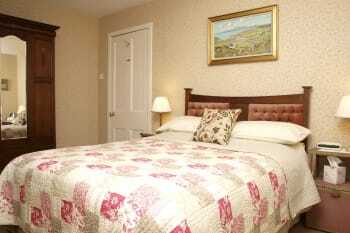 Very comfortable beds, very clean, lovely refreshment tray in rooms and breakfast can be enjoyed leisurely. Lovely food, great selection to suit all tastes, cooked fresh by Suzanne. A great place to stay and ticks all the boxes and more. Scottish Hospitality at it's very very best.;. Russells Restaurant is just 2 minutes walk through the garden.Booking essential. Glen gave us a lift a I had just had hip surgery, which was very kind. This was a very good place to stay. We were sorry to leave. Glen, the owner, is very friendly and helpfull. The house is beautifull. Very good breakfast. The Old Pines Restaurant has excellent food and outstanding views. We have been there and would reccomend this restaurant. We enjoyed every minute of our two night stay at Spean Lodge Country House. The building is beautiful, historic, and situated on lovely grounds. Glenn is an amazing, informative host and he and his wife run a top notch business! I wish our stay was longer. Warm welcome, excellent food, rooms and beds. Beautiful garden. The best . Gorgeous garden, beautiful place. Amazing hospitality. I am impressed. Very neat and loved our stay. Great hosts, very attentive. Beautiful county house with spacious room and lounge. Lots of extras and delicious breakfast. restaurant in the old train station was very good. Close to commando memorial. Glen est adorable et nous a accueillis avec beaucoup de chaleur. La maison est jolie et superbement meublée et le jardin est magnifique. La chambre (familiale) que nous avions réservée était spacieuse, très confortable et d'une impeccable propreté. Le petit déjeuner est vraiment exceptionnel, tant par l'originalité des propositions que sur le plan qualitatif ou gustatif. Tout est fait pour que le séjour reste inoubliable. Nous n'avons eu qu'un seul regret : devoir repartir ! Old station restaurant good food and staff very friendly. Lovely welcome. Beautifully presented accommodation. Delicious generous choice of breakfast. Station Restaurant excellent food and welcome. Walk to historic Highbridge from the House. Very friendly and helpful, with good attention to detail. Lovely ambience, interesting history, tastefully renovated. Comfortable beds, quiet despite its proximity to the road, attractive outlook over the river. Tasty breakfast. Great value. Would certainly stay here again/recommend it! We spent two nights at this B&B, we were traveling with two children and without any doubt this is the best accommodation we were. 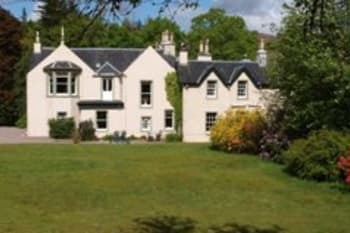 It has everything, perfect location to explore an amazing part of Scotland, a marvelous house to stay with beautiful and very comfortable rooms and.... the incredible hospitality of the owners that is really difficult to describe in these few lines. Thanks to Glen and his wife! I can't end this opinion without mentioning the amazing breakfast! We will do repeat, for sure! If you visit Scotland, do not hesitate, choose Spean Lodge! The best tip I can provide is: talk to the owners and they will be the best advisors you can imagine. Highest quality all around. Especially appreciated help booking restaurant on a busy Friday night. My third stay and will definitely return. Spean Bridge is very centrally located for touring Scotland. Lovely cosy place to stay, Glen was a great host. Would definitely return! Extremely welcoming hosts. Beautifully decorated. Comfortable lounge with sofas, around the fire. Perfect breakfast with too much to choose from. Would love to come back and would definitly recommend to others. Ask for the walking trails, we did the one at the Glen Finnach viaduct. We loved the beautiful views of the viaduct and Loch Sheil. Wonderful B & B, feels more like a 5 star hotel! Glen is a marvellous host, we loved hearing about the history of the house. Best accommodation of our 8 day trip to Scotland. Highly recommend! A very warm welcome awaits the weary traveller. Lovely rooms, open fire in the guest sitting room. Wonderful breakfast with a choice to satisfy everyone. We only use this as a passing through stop but a short walk away you'll find Russell's restaurant which is superb. A short drive and you'll come to The Pines...another excellent place to eat. 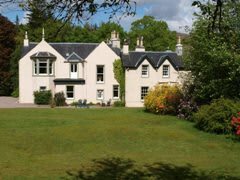 Spean Lodge Country House is a really wonderful and delightful place to stay. The hosts are truly wonderful and do everything to make your stay as pleasant as possible. The house is so beautifully decorated, with so much taste. It was a true delight to stay there! Go and explore the Glen Roy to Brae Roy Lodge, it is gorgeous! We were made extremely welcome without any fuss, restaurants were recommended, breakfast was wonderful. This was perfect place to stay on our last holiday night. The best B&B we have ever stayed at. A little bit more expensive than average but well worth the extra. Beautiful house, superb breakfasts and great hosts. Can recommend the Old Pines restaurant for food and location. Followed Glen's suggestion for a drive to Mallaig taking in viaduct and beaches and had a great day out. Very impressed with the welcome and attention - friendly, relaxed, and thoroughly "professional" but in the homely way. Beautiful house, very comprehensive breakfast menu, have no hesitation in recommending to friends and hope to come again. Outstanding meal and service at Old Pines Restaurant near Commando Memorial. A true taste of the highlands in an idyllic location. Without a doubt the best, the very best accommodation that we have stayed at in Scotland. From the wide and varied breakfast menu to the sumptuous residents lounge, coupled with large beautifully furnished bedrooms with there luxury shower rooms Spean Lodge is head and shoulders above its rivals. For local information just ask at the lodge, an excellent meal can be had at the railway station restaurant a few minutes walk away. Located close to Fort William visitor attractions are wide and varied. Awesome stay. Glen and Sue are a great team, and provide a most hospitable atmosphere. Sue will give you breakfast fit for a king and Glen will regale you with his oral history of the area. The lodge itself is comfortable and charming, set within the village, where you can walk to amenities and you can easily drive to many attractions. Close to Ben Nevis. I highly recommend this accommodation. Oh my, we can not say enough kind words about Glen and Susanne. Glen was so easy to speak with and so helpful with his suggestions for restaurants. He made phone calls for us and even drove us to a restaurant so we would have the pleasure of walking back on a lovely evening. This place was truly the highlight of our trip. Our tip for travelers is to go meet Glen and Susanne. You will be ever so pleased. Very friendly and welcoming. Plenty of local information provided. Very good breakfast including the best smoked salmon and scrabbled eggs we'd had anywhere. Old station restaurant excellent and close by. Host was extremely welcoming and helpful. Had an outstanding dinner at The Old Station, recommended by our host. Five star all the way in the most elegant country home that is perfectly restored and furnished. Glen is more than accommodating and attentive to every detail. Sue's breakfast was delicious and of the highest quality of traditional Scottish items. This is so conveniently located just off the main road in the lovely village of Spean Bridge. Restaurants are withing walking distance, and the home is in a lovely setting. This was the most enjoyable and upscale B and B that we stayed in during our trip and we would highly recommend. Staying at Spean Lodge Country House was a wonderful experience. Everything ranging from location to staff courtesy was far beyond our expectations. Each room was finely furnished, the lodge has a long tradition (check 19th century diary from a previous owner!) and Glen - our host - was very nice and gentle. He even booked the restaurant for us! If we ever should come back to Scotland, Spean Lodge will be our first choice. We really enjoyed our meal at Russel's, a fine restaurant, 3 minute walk from Spean Lodge. This lovely house provided exactly what I needed - and I am so grateful. Glen and Sue were exemplary hosts and had thought of everything! Although I was in the village for a wedding, Spean Bridge is a marvellous launching pad for the west highlands. Whether you decide to go North to Loch Ness or south to Fort William and Glencoe, see the Commando Memorial or over to Glenfinnan to spot Harry Potter's train... all journeys start from Spean Bridge! Wonderful, clean and cosy! Great style, friendly hosts and one of the best Scottish breakfasts we've ever had! Recommend wholeheartedly for a superb b&b experience in the highlands. You haven't asked about the food. It was superb! The Pines restaurant excellent with a very handy free taxi service for the 4 minute journey to and from Spean Lodge. Loved our visit. Glen and Sue are fantastic hosts. Wrote a good review on Trip Adviser. Loved the home, loved the bedroom and bathroom. Breakfast fantastic. So pleased to see the trouble you have gone to source the best of Scotland! Will be back! very cozy place to stay with. I alsi had a good time chatting with the host! We loved our stay at Spean Lodge, great accommodation, Glen and Suzanne where very friendly and the food in the morning was great (especially the scrambled eggs). Will definitely recommend to friends. No tips of our own - our dinner at Russell's was a great recommendation. There is a 24h grocery store just in front of the entrance, so you could buy a special ale to enjoy it in the guest room after dinner. We could not fault this accommodation in any way. Use the encyclopaedic information that is provided in the lounge. The hosts are lovely. Glen knows perfectly Scotland and is happy to give you advice for your own trip. Suzanne is very good cook, the beeakfast was delicious. Always a pleasure to be here. As a train travel weary traveller I immediately felt welcome and at home in Spean Lodge. The accommodations were extremely comfortable, very clean and thoughtfully decorated. The breakfast caters to a wide range of tastes and is delicious. The owners are so warm and friendly you immediately feel at home. Thank you for an unforgettable visit to Spean Bridge. Enjoyed the restaurants recommended to me as well as the surrounding scenery and activities. One of the nicest places we've stayed in,fully deserved its inclusion in Scotlands best B&B establishments,Glen and Sue who own and run Spean Lodge very friendly and welcoming.Altogether a very pleasant stay. Old Pine Trees restaurant very nice, a 20 minute walk up hill past Commando Monument. Follow the suggestions of the owner! Unfaultable. Beautiful rooms and hreat atmosphere. Typical scottish, beautiful old house With modern comfort. Friendly owners and super breakfast. Restaurant the old station is à lovely place to eat. Glen and Suzanne are most hospitable hosts. The lodge is very comfortable and welcoming, with a pleasant residents' lounge, full of books and maps of the area, which guests are welcome to borrow. The bedrooms are well equipped and the breakfast is excellent. Glen is most knowledgeable about the area, and can offer advice about local walks and places to visit. He can also advise about where to eat in the evenings etc. Would definitely recommend to family and friends. Glen can give advice about where to eat, but we spent 4 nights eating at the Old Station restaurant. The food is very good, the owners very welcoming, and we could see no point in going anywhere else! It's location is brilliant, as it is situated on the railway platform, so you can watch the Caledonian sleeper train pass by every weekday evening! Beautiful place. Wonderful hosts. Would absolutely recommend! The Old Station House was good for dinner. Absolutely wonderful! Great attention, great service, great room, great breakfast… the best B&B we've ever been to. Thanks a lot! The owner of Spean Lodge gave us a great recommendations, let him to tell you all you need to know. The location was charming, clean and provided with all the necessary stuff. But what was really great was the kindness of our host Glen. We never received a warm welcome like this and can only recommend everyone to stay the night there. No downside, we enjoyed every piece of time spent there. I advice the travellers to follow Glen's advice on the restaurants. We ate at the old station and it was delicious. Not far from Spean Bridge, the little town of Glencoe and its surrounding are beautiful and worth the ride. Thank you Glen for your welcoming and attention for us. We loved the family room, very spacious and so much character. The House has so much to see and is very peaceful, we wished we'd stayed one extra night. The garden must be so nice when sunny. We enjoyed the great breakfast. Thank you Glen and Suzanne. Easy entrance and easy parking to the House. Eat at the Old Station (reserve first). Visit the Commando Memorial, Fort William, Ben Nevis and Loch Ness, all very close. excellent accommodation and truly remarkable home.I would like come back to visit the place. Glen has solved the equation of how to be a great host. Very helpful and full of ideas when it came to places to visit etc whilst providing a superlative service to his guests from a b and b perspective. The house is beautifully kept and was a lovely place to stay. Local restaurants are of a good standard. We ate at the Old Station and Russells, which were walking distance and a little further out of town we visited The Old Pines on several occasions. Local forest walks, the Nevis Range, Commando Memorial and the impressive `Parallel Roads` are worth a visit. Loch Ness and the Caledonian Canal are also close by. Excellent throughout, couldn't be better. Well worth a long stop. Warm welcome. Lovely accommodation very spacious. Excellent breakfast. We could not fault it, well worth a visit. Service/Breakfast and Friendliness: Excellent - 5+ !!!!!!!!!!!!!!!! My only regret is that we didn't stay longer. We loved Russell's restaurant! The three course meals was quite delicious. We really enjoyed our stay at Spean Lodge. Glen was a superb host and made us feel immediately welcomed. The room was fabulous, with plenty of space for the 3 of us. 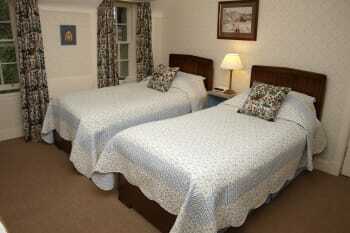 The beds were very comfortable, and the ensuite bathroom was very clean, with good water pressure in the shower. We enjoyed a delicious breakfast. My only regret is that we didn't plan to stay longer. We highly recommend Spean Lodge and hope to return for another visit. So good all 6 party members would return. Excellent customer service. Glen you are a gem. The hospitality is excellent, stay here. This was our 2nd stay and as expected, we enjoyed it again very much. Glenn is very knowledgeable about lots of facts about the area, so if you need a bit of info, he will have it on hand. A great place to stay and if you want great food, good restaurants are in walking distance or in Fort William, but you may have to book in advance. Glen was extremely helpful with vacation planning options and local recommendations. Food was excellent and accommodations clean and comfortable. Definitely 5+ rating! Suggest Glen Nexis hikes and view from Nevis Range ski area. Visit Isle of Skye and stop by Glen Finnan Monument/Viaduct and Eilean Donan Castle. Second time staying at Spean Lodge, it just gets better! Thank you Glen and thank you Sue. Spean Lodge is an excellent place to stay.On arrival one is made to feel most welcome. Glen is most informative about the location and history of the area. Breakfast is first class and would match any five star hotel. I would not heitate to recommend Spean Lodge. The cable car is worth a visit and there are many good restaurants in the area. Glen is able to advise visitors about good locations and excellent restaurants. My walking party had a fantastic stay here for one night. Susanne and Glen are perfect hosts, the property is comfortable and beautifully presented. Easily our best stay on the GGW. Old Station restaurant was great, property is on a busy road, ear plugs might be a good idea if you are a light sleeper! Your lodge is perfect! Thank you for the hospitable greeting with tea and pineapple whisky cake, making our dinner reservation and for the delicious breakfast. We wish we could have stayed longer. Glenn, you are a marvelous host. We enjoyed the beautifully appointed house and the lovely grounds. Thank you for telling us about St. Cyril's church which was most interesting. Our dinner at Russell's was excellent. Be sure to walk around the Lodge's grounds. Very homely atmosphere with first rate facilities. Fascinating house history and a real period feel. Stupendous breakfast with Stoat porridge. Glen - you can get this in Tesco now. Great hosts who bring the house to life. Highly recommended. Old Station Inn offers good cuisine in old station building. Can get busy, so need to book. The walk from Corrour to Spean Bridge along Lairig Leacach is wonderful, although you do feel its 16/17 miles at the end! Fantastic hosts couldn't do enough for us and nothing too much trouble.Treated as old friends. superb breakfast,lovely room beautiful b&b will definitely stay again and throughly recommend.We had a fab time this place really made our holiday. The old pines restaurant is really good,at the top of the hill a mile or so away from the b&b we had a brilliant night there. The station Inn pub (walking distance from the b&b) was also very good but be sure to book in advance. See the commando memorial,Ben Nevis,Glen Nevis walks (Ask Glen at the b&b!) & Urquhart castle. Amazing B&B with great hosts and excellent breakfast. We had a great weekend at Spean Lodge. Wide choice of options for breakfast, locally sourced, and all cooked perfectly. The house itself is spacious with great position for getting to the local bar and restaurants. And the hosts were friendly and exceptionally helpful with regards to suggestions for food and things to do. Highly recommend to others. Fantastic hosts, beautiful room -beautiful house every facility you could want. Delicious breakfast. Very enjoyable stay. Staff were lovely - great with my 3 kids too. Felt safe & secure travelling on my own with them. Lovely comfortable bed & breakfast was fresh and just what we asked for. Great advice on where to go (we did see Nessie! thank you) and good café/restaurant just up the road too. good café/restaurant just up the road, close to Fort William (by car), Ben Nevis & 25miles to Loch Ness. Georgian styled house, cosy, spacious, friendly, beautiful grounds, off-road easy parking. Tea making & hairdryer in rooms. Traditional décor not ultra-modern so could have done with a couple more power sockets for gadgets but that was our only gripe. Would definitely stay again. A superb B&B with delightful hosts - faultless. Thank you so much for making our brief stay so comfortable and memorable. Breakfast was excellent, as were the packed lunches. We visited while walking the Great Glen Way. Although it is a little off route, lifts can be arranged in advance. Dinner recommendation at the Old Station Restaurant was good. We felt very welcome. Glenn and Suzanne are very helpful indeed, you get good advice and Spean Lodge is peaceful and beautiful. Glenn Nevis distillery is worth to visit, the staff is very honest and enthusiastic. They tell in a way that makes you cleverer on whiskey making. In Russell's restaurant you will have well cooked food in cosy and beautiful surroundings. Everything was perfect. I could not fault anything. I felt like I was treated like I was royalty at Spean Lodge. I have never slept so well. I didn't want to leave. I only have the fondest memories of this B&B. Unfortunately being week before Christmas most of the restaurants were closed despite their websites saying they were open. Don't trust the websites! Glen and Sue, the most friendly and helpful hosts, run a beautiful establishment. This is value that would be very hard to beat. Lovely place and great hospitality. Stayed here whilst doing the Great Glen Way - they offer free transfer to and from Gairlochy. Glen and Suzanne were really welcoming, the house and room were great, a cup of tea on arrival was appreciated, and breakfast was excellent. Couldn't have been better. Stayed here on rememberance Sunday and it was absolutely perfect. I'd highly recommend this accommodation, the owners could not be more helpful. This is a lovely B & B with a very helpful landlord. He went the extra mile to make our stay comfortable. On arrival, there was a roaring log fire and tea and cake and he even drove us to a local restaurant. Breakfast was delicious and we very much enjoyed our one night stay. We had a lovely meal at the Old Pines restaurant - delicious venison. Lovely location and made to feel very welcome. Nothing was too much trouble. Helpful with future directions. Enjoy the 3 mile walk to the Commando monument. Glenn even provides lifts to restaurants in the area that one can have a drink without disregarding laws (and therefore compromising the driving license). Your hospitality and warmth of welcome enhances the wonderfull surroundings of spean lodge and the lochaber area.Many thanks see you next year . A great location and Spean Lodge is perfection in every aspect-from the warm welcome you can expect from your lovely hosts, the stylish and immaculate accommodation and the scrumptious breakfast to start your day off. Spean Lodge is definitely somewhere you will want to return to. Wonderful wonderful place. It inspires me to buy an inn somewhere and run it when I'm older and retired. Staff was very helpful and friendly. Cute little town. Not much to do in this town if you want a crazy night out (which we didn't) but it's very cute and sweet and a perfect place to stay for the night. The Old Station Restaurant had a cool ambience but the food was meh. Pay up and go to one of the nicer restaurants in town and stop by the Old Station for a drink. We are looking Forward to our next visit! Super Location, super Hosts, simply wonderful. Cannot speak highly enough of this superb bed & breakfast, only problem was we only stayed one night,will certainly try to book for a longer stay next time, Glen & Suzanne keep up the excellent work. Of 5 Hotels, b&bs, Etc. sampled on our special holiday Spean Lodge Country House was by far the best value for money. Listen to your host he is a mine of excellent advice. We were made to feel very welcome by Glen on arrival. The rooms are beautifully appointed & very comfortable. Our breakfast was beautifully cooked by Suzanne. Russells Restaurant (a 1 minute walk away) is well worth a visit, gorgeous food in a lovely restaurant. The scallops are amazing. The Commando Memorial is only a 1 mile drive away, well worth a visit. Spean Bridge is only a short drive from Fort William, we stayed there prior to going on The Jacobite Express. You would have to look pretty hard to find fault with the Spean Lodge. It is first rate. The standard of everything is exceptionally high. The room was large and well furnished. The place was spotless and the breakfast excellent. The owners are really welcoming. We attended a nice local restaurant called Russells that was recommended. Good food and not too expensive. Glen was a wonderful host, very knowledgeable and helpful with suggestions for hikes and places to visit. We're eager to return. Lovely comfortable room and delicious breakfasts. Enjoy this very nice place and the excellent service. Gorgeous property with equally amazing history. Great host, scrumptious food and a gorgeous room. Good recommendations for places to eat dinner locally. It feels wrong to call Spean Lodge a B&B when it is clearly so much more than that! Staying here is similar to the experience that you'd have at a small, boutique hotel...or maybe walking onto the set of a really well catered BBC period drama. One of the most interesting and enjoyable places I have stayed. The property is a historic (Georgian) highland lodge, spacious and beautifully decorated with period furnishings and antiques. The stairs (original and carpeted with stair rods) were a high point for me. I'm not normally a lover of stairs but, hot damn, these stairs are good. As well as the rooms, there is also a lounge with sofas, magazines, maps, CDs and even excerpts from the diary of one of the house's inhabitants from the 1800s. Ordinance survey maps are available upon request. The rooms are very comfortable with traditional bedrooms and modern bathrooms. Facilities include; alarm clock, hairdryer, WiFi, bottled water, biscuits (yey biscuits!) and tea/ coffee making facilities. The curtains are not black out but our room was South-facing so it remained relatively dark until 08:00. The quilts are so soft it was like lying down against the downy underbelly of a silky highland coo. Glen and Suzanne are both lovely, friendly people with excellent knowledge of the area. They contacted us in advance of our stay with restaurant recommendations and booked a table on our behalf at the nearby Russell's Restaurant (the food at the restaurant was excellent). Tip: Choose the traditional porridge for breakfast, it is a milky, oaty dream. The cooked breakfast with black pudding, haggis and freshly laid hens eggs is so moreish I could, in all seriousness, have eaten it twice. There is also fresh fruit, cereal, juices, yogurt...everything cooked to order. Take me back!!! Tip: There is a Spar across the road. Who doesn't love Spar? Tip: Need to buy gifts? There's a Highland Soap shop behind Spar. The candles are boom ting. Wonderful house with an array of interesting pictures, antique pieces and set in great grounds with plenty of areas to relax outside. Room was excellent, breakfasts were the best we had on our trip. Our hosts were very helpful and looked after us extremely well. Eat in the old smiddy and also the old station. Both excellent aimed at a different experience - the former finer dining but both really good (old station particularly good value). Aonach Mor and the Gondola always an easy way to get some height and the associated views, watching the mountain bikers head down some tricky looking trails an added bonus. We couldn't have been made more welcome by the Glen and Suzanne. The room was spotless and comfortable. The breakfast selection was extensive and a personal touch about it. My wife and I enjoyed the freshly cooked salmon and scrambled eggs. The friendly hosts made us feel at home. It's worth a walk to the Commando monument, about a mile a way, as the views of the Nevis range are worth it. 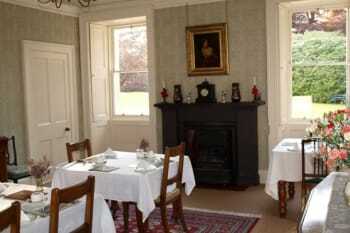 The Spean Bridge Old Station restaurant provides quality food and refreshments in retstored Victorian surroundings. At the same time a very quiet location and an ideal starting point for hikes or other activities nearby (free parking places in the capacious drive). Stayed there with a family of four for several nights in a very comfortable and spacious family-room. Children and adults alike enjoyed the exceptionally fresh and delicious breakfast (continental and Scottish) and the outstanding hospitality. The landlords are extremely accomodating, always ready to help and provided us with useful information about the surrounding area (for our day-tours) and fascinating facts about Scotland in general. 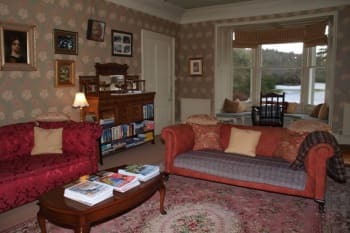 The lodge offers a comfy guest-lounge with lots of maps and books about Scotland. So even a rainy day could be spent there comfortably. The drying-room for boots and clothes was an additional comfort. An ideal starting point for climbing Ben Nevis, further Munros of the area or many pleasant walks (of all kinds of lengths and levels of difficulty). A SPAR-supermarket within walking distance. Quite a broad range of restaurants nearby (making reservations for the evening advisable during peak seasons). Excellent stay. Suzanne and Glenn are perfect hosts and make you feel at home. They have great attention to detail and can give you a lot advice on locations to visit. Very nice quiet rooms in a a beautiful historic building. Spean Bridge is a good central location to discover Scotland. For ideas, you only have to ask Glenn. Absolutely brilliant. Much nicer than the two hotels we also stayed in during the trip. House was beautiful and the room was lovely. Breakfast excellent. Thank you for a great stay. Our travels took us through Scotland. In this 3-week period, we've stayed at 12 B&B's, and Spean Lodge was the best. By far. Glen and Susanne are incredibly kind, and we felt at home immediately. The lodge itself creates a cosy atmosphere. The location is perfect: just outside Fort William, in a small town, with a few shops and restaurants close by. There is a great restaurant across the street, Russels, that is definately worth a visit. Also, there is a 3-mile footpath from spean Lodge that goes up to the commando memorial, that is definately worth the walk. Best thing that could happen to you in your holidays! ... historic and comfortable house ... great, great, great breakfast! The most likeable hosts wie ever met! Extra warm welcome. Beautiful breakfast. An adress wich we will recommend chiefly. Glen is an icredible host who welcomes you and makes you feel at home. The breakfast is great and the house looks like Downton abbey !! Amazing hospitality, accommodation and food. Very knowledgeable and helpful hosts. Nothing was too much trouble. Especially enjoyed the ability to use the fantastic quiet and relaxing lounge. Russell's restaurant is a place to eat for a special occasion but you would need to book. For a less formal meal try the old station house, again prebooking is a necessity. Both within a couple of minutes walking distance. We loved staying at Spean Lodge Country House! The house is beautiful and our room was lovely. Our breakfasts prepared by Suzanne and so graciously served by Glen were delicious. Glen was very helpful with suggestions of what to do in the surrounding area and we really enjoyed visiting with him. It was a wonderful stay and I would highly recommend staying at Spean Lodge Country House. Glen was a fantastic host, lots of information on the history of the house and the local area. Room was gorgeous and spotlessly clean. Breakfast was delicious with a good choice & even catered for me being vegetarian. Really friendly welcome and great place to stay. Will definitely be recommending to others. Very nice location with a great touch of history. Best breakfast in Scotland and excellent ideas for dinner. The most wonderful place in Scotland one can imagine: clean, grand, private, friendly. A place to visit again and again! WE were walking the Great Glen and found this Gem of a stay. The service was fantastic the host was brilliant and very informative.Great accommodation for a great walk.The house is magnificent. The owner of the Spean Lodge Country House will keep you right, please follow his instructions. This is absolutely the best B&B I have ever visited. The house was just gorgeous and the decorating was all really tastefully done. Not a chip in the paint anywhere. The bed linens, which are always the most important of any stay for me, were fantastic. The sheets were great and the duvet and quilt were of really fine quality. Modern bathroom. Excellent breakfast in a great dining room. I wish that I had stayed longer! Dinner at Old Pines - it was outstanding and the view was something else. House with a history, charm, and a "heart". Lovely grounds. Friendly and helpful personnel. Great breakfast. Mountain gondola. Glen Nevis area with the waterfall. Really enjoyed our stay. Very comfortable and spacious room and great breakfast. Couldn't have asked for more. Thanks!! Sehr schönes Haus in einem tollen Park. Gemütliches Zimmer mit einem komfortablen Bett und einem modernen Bad. Sehr schöner und stilvoller Frühstücksraum mit Blick in den Park. Herzlicher Empfang. Die Gastgeber standen jederzeit mit Rat und Tat zur Seite. Das Frühstück war reichhaltig, frisch zubereitet und ließ keine Wünsche offen. Dank der zahlreichen Tips für Unternehmungen haben wir den Aufenthalt sehr genossen. Das ist nicht erforderlich, weil die Gastgeber umfassend und entsprechend den individuellen Wünschen beraten. We loved our stay with you and all going to plan we will be back next year! I only wish we lived closer so that we could come more often. Best B&B have stayed at. Hosts also great guides on what to do in the Highlands. Could not recommend more highly. Glen is a font of information on what to do to make your stay in the highlights really enjoyable. Without doubt, the best B&B Sarah and I have ever stayed at. We will return! Ask Glen and Suzanne who have great local knowledge. Extremely welcoming & friendly hosts who go the extra mile to help you. Delicious breakfasts with wide choice. We could not recommend this highly enough. Beautiful nicely decorated home. We stayed in the family room with 2 four year olds and found the room spacious. Glen was very friendly and accomodating. Convenient for hiking at Glen Nevis and just a few minutes drive from Fort William. We walked to the Old Station restaurant and the kids loved that a train pulled up as we were eating dinner. Some places manage to get it just right (regardless whether they are budget or luxury) and Spean Lodge is one of them. Very nice welcome from Glen when I arrived and I instantly relaxed and at home in my room. Good choice of breakfasts and I thoroughly enjoyed Suzanne's full cooked breakfast with haggis and Stornoway black pudding. I only stayed one night, but look forward to coming back with my family for a longer stay in the future. Perfect combo. Excellent B and B,superb house and very nice hosts. Every attention to detail. Good for walking and attractions in every direction. Station Restaurant has good menu and very good service. Interesting rail artifacts. the owner of the house is very harm and welcome. All our thanks to Glen who is a delicious host. I can recommend the trainstation restaurant, food was very good and service also. This is a wonderful house, full of beautiful things. A lovely welcome with tea and gluten free cakes, especially for me, the hosts were brilliant - excellent food, plenty of information on things to do, where to eat etc. We stayed in the family room, with a very comfortable bed, we were warm and cosy - especially in the beautiful lounge with its large coal fire. A lovely room to relax in. The house has a very interesting history and it was a delight to read the diaries of one of the inhabitants. We thoroughly recommend Spean Lodge. A lovely restaurant - Russells - across the bridge from Spean Lodge. They have a great menu of truly fabulous food. Lovely ambience. The Old Station, 3 minutes away is also good, a more relaxed eating experience, the food is more 'pub food'. Another great coal fire in the very friendly bar. Loads of walks to choose from in the area, and lots to do. By far one of the best B&Bs I have visited. Fantastic warm welcome and excellent service. Breakfast is delicious with plenty of options. Accommodation is beautifully presented. Undoubtedly the best B and B I've stayed at in the UK with the most accomodating hosts you could hope to find. Another excellent experience. I don't know how you can offer what you do at such a reasonable price. The restaurant "Old Pines" was excellent. Very cosy and comfortable facilities, friedly staff, good food, nice view. Thanks so much Glen and Susan. Best B&B for our trip in Scotland. Fantastic! The Station restaurant and the Hotel Restaurant (fish and chips were great) across the road were both very good. Glen was kind enough to share some wonderfl tips for day trips. Susan is THE BEST chef. An extremely welcoming and hospitable host and hostess ensured our stay was everything we hoped it to be. The lodge has been sympathetically restored to its apparent former glory by Glen and Suzanne - very evidently a labour of love. Food (breakfast) was superb - locally resourced produce helped make this a truly Scottish feast with choices to suit any pallet. The room was spotlessly clean and remained that way throughout our stay - we weren't expecting fresh towels everyday but we got them. Bedding and beds were extremely comfortable and the use of high quality bedding helped with a restful nights sleep. The bathroom too was spotless and Glen told us that it had been renovated the previous year however it still looked brand new. Glen in particular was a mine of local information despite not being a local lad! This he.ped with our decision making on what to do on a daily basis. Glen and Suzanne were extremely understanding when we needed to cut short out stay for personal reasons and even provided a magnificent packed lunch to send us on our way as we left early and missed breakfast. We would have no hesitation in recommending this guest house. Be prepared to travel to get a choice of restaurants and eating places as Speanbridge only has three evening choices. However within a few miles there are some extremely good restaurants - most of which are attached to the areas hotels. Like seafood then visit the seafood restaurant on the pier in Fort William - the biggest and freshest muscles are a must! Take Glens advice if you want to see Red Deer - we did and not only saw the deer but experienced a wonderful scenic drive. accommodation exceeded expectation. great attention to detail. Lovely breakfast. Thank you so much for your kind hospitality whilst I was there. I was made to feel most welcome and at home. The local information provided was excellent especially the tips on where to go for a run. Spot on! Hope to back soon. Thank you. Lovely house in a central area in Scotland. Restaurants within walking distance with great Food. And the owners, Glen and Susanne warmly welcome you into their home. We really enjoyed our staying in your house. If we'll have the chance to visit Scotland again, we'll surely come back! We had dinner in the Old Train Restaurant - nice dinner. The house is very close to Fort William and Loch Ness. Out the side gate of the beautiful gardens, turn left across the little bridge, and in barely 2 minutes you will be standing at the portal of the fabulous "Russell's Restaurant and as Smiddy House". Fantastic food, fantastic ambience - a real must. Don't miss "The Commando Memorial" around 1 mile North of the village on the left. A memorial to the inimitable "Commandos", formed by Winston Churchill, in the darkest days of World War 2, right up to the tragic husbands and sons still being killed in today, in the Theatres of War around the world - very poignant and moving. Everybody coming to Spean Bridge should stay here. It's a great location in Victorian style. The owners Glen and Sue extraordinarily renovated the old villa and placed lots of old furnitures and decoration within there. The breakfast is absolutely first class. We and our two sons loved it really to stay there. The rooms are great and cleaned every day. The surrounding of Spean Bridge offers lots of possibilities: the landscape is beautiful, you can walk or hike, go fishing or travel to the sea in the West, try Whisky or lots of very good restaurants nearby. Very friendly welcoming folk and what can only be described as an outstanding breakfast. Glen and Suzanne were impeccable hosts and a wealth of history and local information. We had a fantastic time staying at the Spean Lodge Country House. The rooms, as well as the common areas, are spacious and very nice-/ thoughtfully furnished. Every detail reveals that Glen and Suzanne love running their beautiful B&B. Their personal welcome adds to the wonderful experience. A Fantastic place for a stop over for a good night of sleep if ever visiting this area. We received a very warm welcome and the people were polite and very helpful. During our trip in Scotland we've been staying in many places. Spean lodge Country house stand out as the best of them all. Glen is a great Gentleman with so much knowledge about the area and has gone the extra mile to make us feel at home. We were serve a great variety of choices for a good breakfast pack with some well selected local produce. A place I definitely recommend. A local Restaurant we visited was The station restaurant. situated on the platform of the local train station where all the travellers stops for a taste of Spean Bridge. The people were very friendly and serve some good local produce. Nice and pleasent place to spend the evening playing Guitar. The Nevis range Gondola is not too far from the location. The Jacobite steam engine experience is about 9 miles aways. A lot of activities in the nearby. A Must see destination. Fantastic place, very friendly and informative hosts. Will recommend to our friends.many thanks. Excellent, friendly, warm, helpfully It was great!!! The recommended restaurants are top! Enjoy more than only one night! Spean Lodge is a great starting point when exploring the Scottish West coast. Lovely house in a beautiful garden and the hosts are most welcoming. Glen is a fount of knowledge about the area. He could answer all our questions and then some. And Suzanne spoiled us completely serving delicious breakfasts. You can skip lunch if you go for the full Scots one :-) We had a great time and hope to come back. Great location for day trips to most anything on this part of the West coast. Many good restaurants in the village at walking distance and you can get a lift to some more. Stellar everything. Wonderful hosts. Highly recommend. Can't wait to return. The Old Station Restaurant was walking distance and very good. We thoroughly enjoyed our stay and were disappointed that we only stayed for one night as we were travelling around Scotland. The Lodge is kept beautifully and we were made very welcome by our hosts. The breakfast was the best we experienced while on our overseas holiday! We were very comfortable in our room and would recommend this to others to stay. We went to Russells restaurant which is a two minute walk from Spean Lodge. Spean Lodge recommended this to us and the food was fantastic. The Commando memorial on the outskirts of town is worth a visit. Inmejorable atención de los propietarios. Casa preciosa en la que cuidan el último detalle. Limpieza total y habitaciones muy amplias y confortables. Muy bien el desayuno. Por supuesto que repetiré. Cerca hay un restaurante bueno. Glen te ofrece distintas alternativas. Keep on the good work! We are very happy that we have found this accomodation as it is unforgetable - the rooms, the whole place itself and of course the most delicous breakfast... everything provided by most nice people. We are most grateful for this experience and hope to repeat it some day. Anything you need to know, just ask the landlord - he is the best source of information! Glen and Suzanne always make us feel very welcome. We will certainly come and stay again if in that area, in fact we talked about staying longer next time as it is such a central area.We all love it at Spean Bridge Country House and would recommend it to anyone. They made us very welcome at The Station. We did go there last time we stayed at Spean Bridge and Vanessa made us very welcome. We went to Isle of Skye, and also to Mallaig by car and not on the steam train this time. Lovely beaches at Morar. Our stay was beyond our expectations and we were amazed at the perfect ambience and services offered. Breakfast was great. All the rooms including the living and breakfast rooms were very well appointed. This was one of our best stays in the world without any doubt and the hosts, Glen and Suzanne were very friendly and accomodating. Thank you for a great memorable experience. Minesh and family. The local restaurants are all good but go with Glens recommendations . A good place to stay of you are touring or walking in the surrounding area. We had a very good experience in your B&B. Because of the house and its decoration, the breakfast, the garden... and specially for your hospitality. We only spent one night, so we did not have much information, nevertheless it's a good place to visit this part of Scotland. Excellent breakfast and amazingly friendly and helpful host. We ate at Old Pines restaurant and were taken there by Glen and returned with a lift from the restaurant owner. We had a good meal and found this arrangement to be extremely helpful. The Old Station. Good food at a reasonable price. Friendly staff. There are twomain attractions to Spean Lodge. One being the welcome from host Glen who is kind, courteous and good fun. The second is the country house and its setting in sprawling grounds, yet only a short walk from the village. Our fourth visit this year was, as usual taking us slightly off our route, but we did that just to stay at Spean Lodge. The Railway Restaurant in the village of Spean Bridge is delightful. The old railway waiting room now converted into a restaurant with excellent, fairly priced meals, has doors opening onto the platform where trains occasionally pass through. Old suitcases and memorabilia adorn the restaurant and days of Victorian travel are ignighted in the mind. Many thanks for a lovely stay in Spean Bridge. Very welcoming and comfortable as ever and great food. We hope to be back soon! Great house and very friendly "staff". Great location for fly fishing. A very enjoyable stay at Spean Lodge Country House. Lovely large family room with cleanliness throughout. Breakfasts were superb with a wonderful array of choice. Nothing was too much trouble, thanks to Glen & Suzanne's kind hospitality. Enjoyed the World Downhill Mountain Biking at Fort William. A great place for Mountain Biking or Walking. Would highly recommend The Old Pines Restaurant a must, only a mile outisde the village of Spen Bridge. A very enjoyable meal with great, friendly service. Staying one or more nights at Spean Lodge Country House is a dreamesque experience. It´s a luxury hideaway from the buzz of modern life. Glen and Suzanne are wonderful hosts with a good sense of humour and an open eye for the needs of their guests. Very warm welcome, great hospitality, exceptionally clean and comfortable establishment and great breakfast. The Old Railway in Spean Bridge and the Glen Spean Lodge near Roy Bridge served really good food and were excellent with small children. Both reasonably priced. Don't miss the Highland Soap Company! Excellent one night stay and breakfast. Glen goes out of his way to be helpful. Had a nice meal in the station restaurant,an interesting and friendly place. Have already recommended you to friends. Location is ideal, proximity to the road is the only - minor - drawback. Great place to stay. An exceptional welcome, including to our one year old son. We could not have been better looked after. Great food and wonderful room. Thank you! Our 5th visit to Spean Lodge. Perfect stay as usual. Fantastic atmosphere in perfect surroundings. Glenn booked our dinner at the Railway station restaurant in good time. Railway station restaurant to be recommended. A visit to the memorial place is a must. We are visiting our niece and husband so don't always avail ourselves of the local amenities but there are plenty of walks, mountain climbing, the Cameron museum, the Commando Memorial and trips to Oban, Inverness etc. So nice, cosy and friendly & Special scottish breakfast ! Excellent welcome, excellent hosts, excellent nights sleep and excellent breakfast. Spean Lodge was clean, warm and comfortable and we had a lovely time staying. The house is beautiful and set in lovely gardens in the heart of the village. Great place to stay. Owners are really friendly. Liked the tea and biscuits at the fireside. Fantastic breakfast. Go to Russell's restaurant which is two minutes walk away. Beautiful lodge in a pictureasque setting. The public rooms are beautifully done with period furnishings. Glen was a wonderful host and very helpful with information about the area. Highly recommend Spean Lodge. Excellent accommodation and very friendly and helpful hosts. Russells restaurant (1 minute walk away) excellent. Lots of local walks. Great base for exploring most of the Highlands. Ask Glen -that's what we do! Really welcoming. Nothing was too much trouble. Lovely house and surroundings. Easily one of the best places I've stayed in Scotland, and I've stay in many over the years. A great mix of historical charm with modern plumbing and one of the nicest hosts you could meet. Really enjoyed the stay and hope to return. Suzanne and Glenn Wilson gave us a very warm welcome and made our stay comfortable. The breakfast was excellent and of great choice. We would come again. Abbiamo passato due notti: meraviglioso. L'ospite, Glen è stato molto simpatico e carino in ogni occasione. Le foto non rendono giustizia agli interni stupendi della casa: c'è un salotto a disposizione degli ospiti che ti riporta indietro nel tempo. Fantastico. In zona tutto è incentrato sulla natura quindi è ottimo per chi vuole fare passeggiate, mountain biking o altre attività. Per la pesca potete prenotare una sessione con una guida certificata (in anticipo perchè è sempre molto richiesta). La strada da Fort William a Mallaig è deliziosa e nella parte finale ci sono spiagge caraibiche. second stay here and would not go past it. Already planning another visit. Excellent big house with plenty history. Cleanest place I have stayed in. Hosts cannot do enough to please. Well done. Wonderful stay and very well looked after by Glen & Suzanne. Glen was so friendly & helpful with lots of tips & suggestions to help us with our further trip through the highlands. Beautiful house & very comfortable room. Breakfast was the best we experienced throughout our 10 day tour! Thank you so much. The Russell Restaurant was excellent . Not the cheapest but the food and service was worth every penny-very good experience. A lovely old house with beautiful antique furniture, pictures and porcelain. Helpful host. Good breakfast. Strongly recommended if you are in the area. The walk up Glen Nevis is well worth the effort. Eat at the Old Station Restaurant - unpretentious but good. A very comfortable Guest House with welcoming owners. Good room and excellent breakfasts. Visitor lounge area with a lot of useful reading matter about Scotland. Helpful advice given on places to eat and visit. Only drawback is very close to main road A82 through Spean Bridge; although very quiet after 2000 there was quite a bit of early traffic from 0530 which can be disturbing to those who normally live in very quiet surroundings. If you are used to traffic it would not be a problem. Overall we would certainly recommend Spean Lodge Country House as a place to stay. Take owners' advice on where to eat and where to visit if you don't already have a plan. One thing to remember is that if your trips involve using single track roads with passing places (still found in many places away from the main roads) do allow plenty of time; it does take longer to travel on those roads. Ate at Russells. Food very nice, pretty expensive but be prepared for long wait for table and a very long wait between courses. We booked for 7.30 but 8pm before shown our table! Seemingly that is on purpose and sad as it wasted our meal. Will not be back as other eating choices in the village.